All Tune and Lube (ATL) in Austin provides quality auto repair and maintenance at great prices, with outstanding service our highest priority. Our state-of-the-art auto repair shop has everything our experienced auto technicians need to diagnose, repair or service your vehicle well. From basic oil changes and tune-ups to complex engine repair and transmission work, ATL in Austin is your one-stop total car care center. For exceptional auto repair and vehicle maintenance in Austin, call All Tune and Lube at (512) 836-6724 today, or use the form to the right to schedule an appointment! As your total car care center, we offer dealership-quality auto service and repair at lower prices. 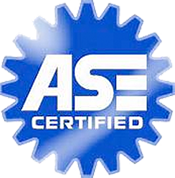 Our Certified Auto Repair center is ASE Certified and has an A-rating with the BBB, so you can rest assured you'll receive quality workmanship and outstanding customer service. We offer oil changes, brake inspection, service and repair, air conditioning service, scheduled maintenance, engine tune-ups, transmission service, fuel injection and combustion chamber service, muffler and exhaust system repairs, electrical diagnostics and much more. For your next oil change or auto repair, try our local, full-service auto repair shop and experience the ATL difference! "Great prices, speedy service, easy to talk to. They let you know what auto maintenance you should do, but they don't try to force it on you. That's good business." "The most accommodating auto repair shop I've ever encountered! Excellent and reasonably priced service; very helpful, quick and thorough."